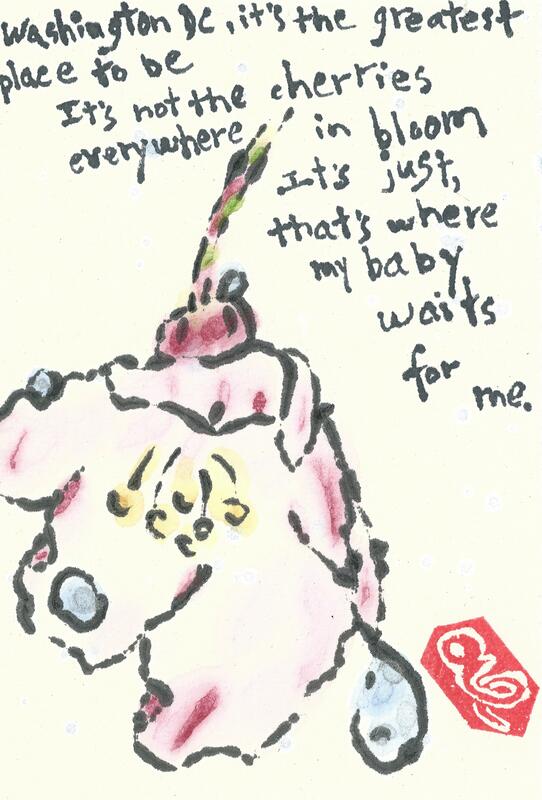 The second etegami uses a haiku from Issa: Without you / Oh, the vastness of the / Cherry blossom grove (君なくて誠に多太の桜哉 kimi nakute makoto ni tadai no sakura kana). 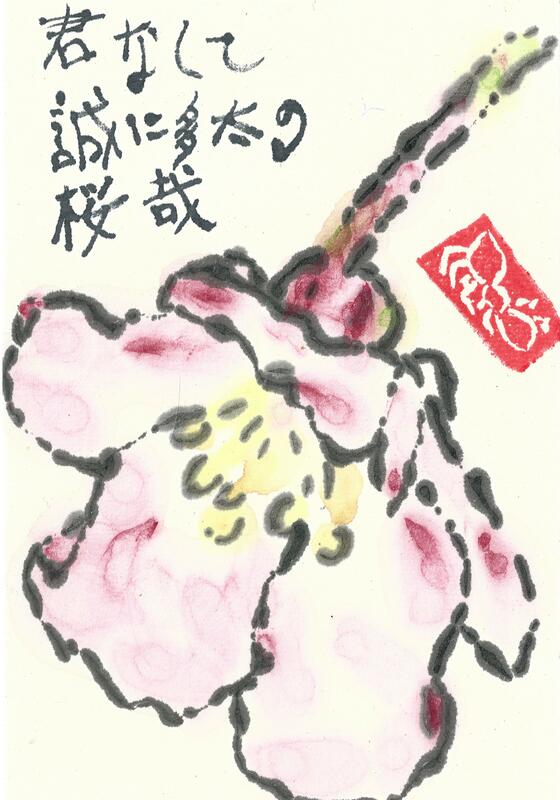 Again, thanks to the Haiku Guy for the haiku and translation, although I altered the translation a little. I thought maybe I would go up to DC last weekend to see the cherry blossoms. But it is 55 miles away and I figured there would be traffic. I am so tired of traffic. So I decided to stay home and check out the pear trees in downtown Fredericksburg. It would not have been a good time! There were SO MANY PEOPLE! And not enough blossoms out yet. I may take an early lunch later this week to go out around 11 am to check them out again, I think there will be less people. Pear blossoms are quite lovely, I agree, a rival indeed! I’ll bet Issa wrote a haiku like yours! 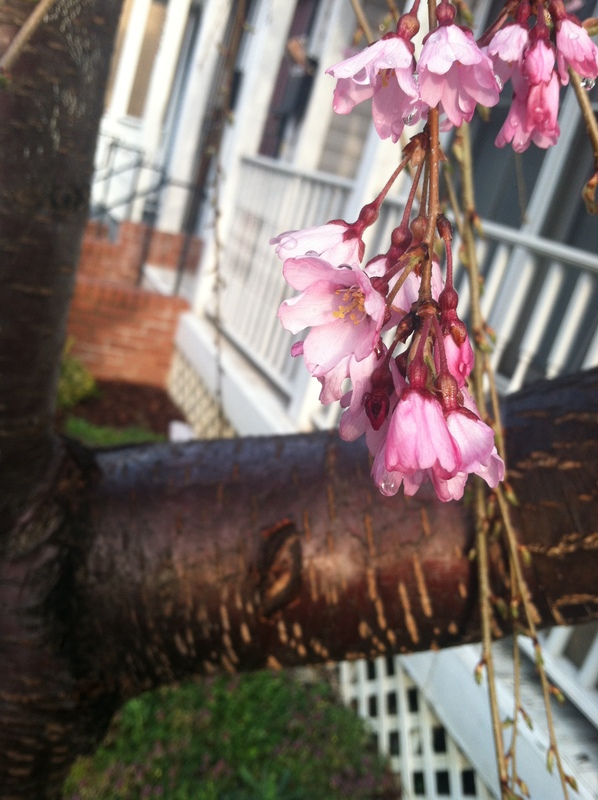 Our trees need a few weeks to bloom or get green. It has been very cold and spring is only now starting in the Netherlands.